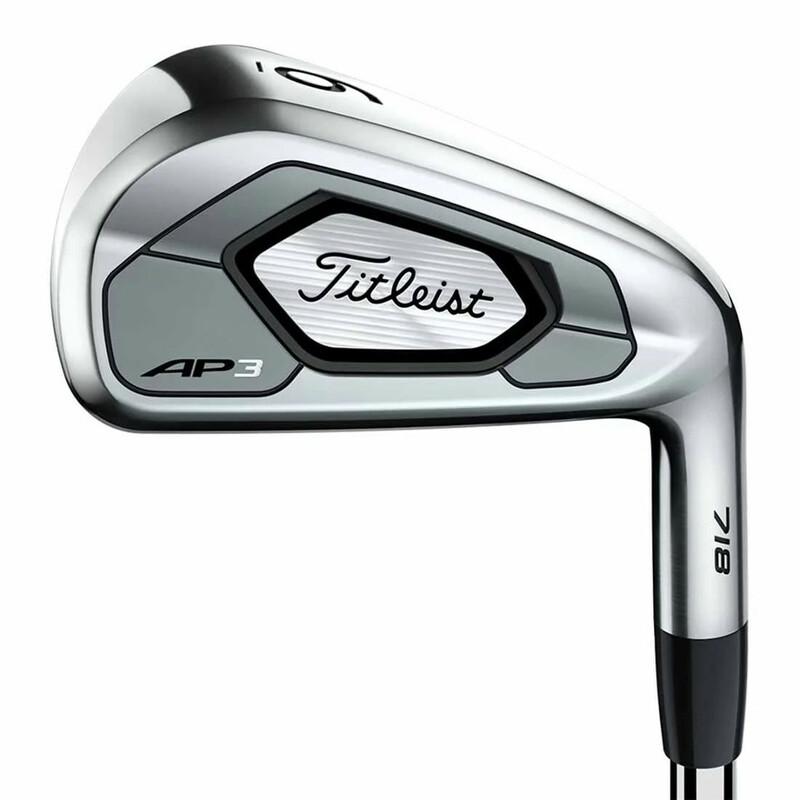 Titleist designed its all new AP3 to combine the best of the company’s popular AP1 and AP2 irons. Making an iron as long and forgiving as the AP1 that is also as workable and great feeling as the AP2 would create one great club. Is the AP3 all that? Well, I truly enjoyed finding out. Irons in this category are expected to deliver extra distance while still providing the feel and consistency that mid- to low-handicappers need. Titleist bills the new AP3 iron as its longest and fastest player’s iron ever. The AP3, which fits between the AP1 and AP2, is intended to provide some of the forgiveness of the former with some of the shotmaking ability of the latter for players wanting more distance and forgiveness without sacrificing feel. Add one and two and you get three. Now the name makes sense! AP3 truly represents the best of both worlds. We’re giving you the distance and forgiveness of a game improvement iron packed into the look and feel of a player’s iron. That’s a pretty tall order. 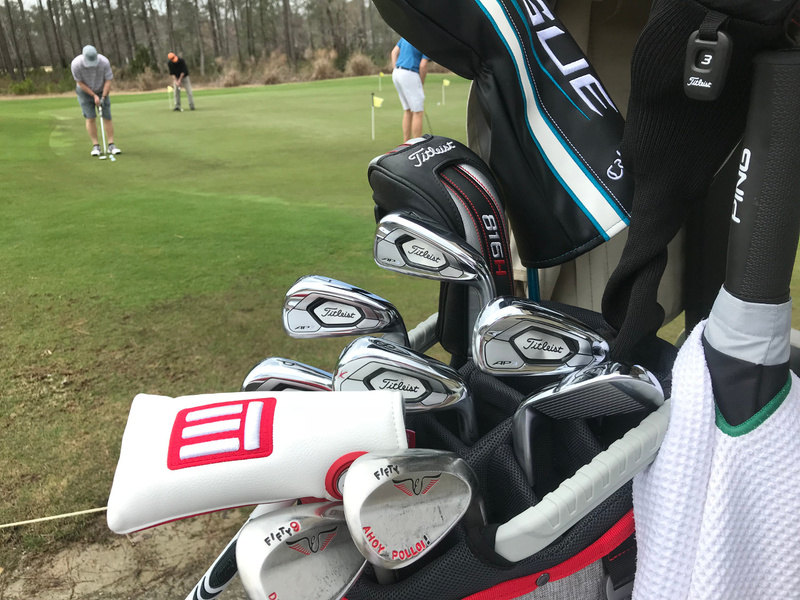 The AP1 is very popular among mid- and higher-handicap players (though the long irons sometimes find their way into the bags of better players). The AP1s strong suit is forgiveness and ease of getting the ball in the air. The AP2 is widely played on professional tours and by a sizable number of lower handicap players, where its feel and consistent distance pays dividends. Can the AP3 really combine the best of both worlds? I recently had the opportunity to get custom fit through the company’s “Titleist Thursday” program and try out the AP3s for myself. (If you are only interested in the review of the AP3s themselves you can skip ahead). I met the fitter on the range of a nearby club. One of the key selling points of the Titleist Thursday program is that you can get fit on a real turf range using a launch monitor to really nail the set up. Unfortunately Mother Nature didn’t get that memo and due to a heavy bit of rain that week, the fitting took place using mats. Still, having access to the entire Titleist fitting kit and all of its shaft options is great for developing confidence in your setup. When scheduling my session, I’d indicated that I wanted to hit irons. As recommended, I also brought my current set for comparison. 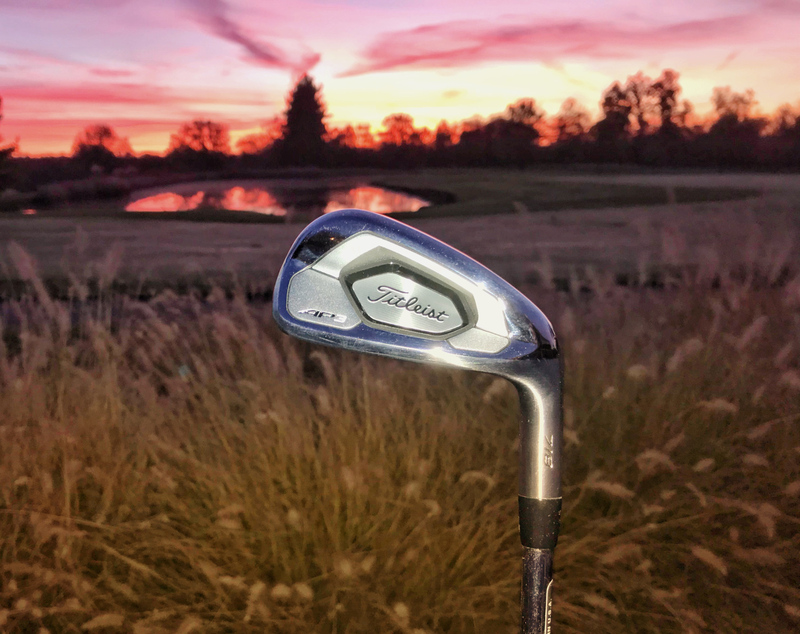 You’ll need to have a particular club type (wedges, irons, hybrid, fairway or driver) in mind for your Titleist Thursday fitting because appointments are typically 15 minutes in length, so that’s not much time to do more than look at a single club type. My first impression of the AP3 was the high, straight ball flight it tended to produce, higher than my current player’s iron. After several swings, we quickly narrowed down the shafts to two True Temper models: the stock DG S300 AMT Tour Black and slightly heavier White. While I was getting a nice straight ball flight with the AP3, the strike indicator showed that I was missing the center of clubface just a tad, thus leaving distance and consistency on the table. After some experimentation, the fitter suggested trying a half inch short. Now, I have choked down a little on the majority of my iron shots for several years, but that was the first time anyone had suggested actually going shorter than standard length. He put a ½” short shaft in the same head, and I immediately began hitting dead center on the clubface. I ended up with the AMT Black in S300, ½” short, and the heads bent one degree flat. It was time to get the clubs made and get them on the course. The AMT Black won out over the White by providing a slight distance boost at the shorter length. Titleist Thursdays provide excellent opportunities to demo Titleist’s full line without a hard sell on the part of the fitter. You can find information about Titleist Thursday events in your area by visiting the Titleist website. They are free, but you’ll need to make a reservation. As a better player’s distance iron, the AP3 can be expected to deliver a distance boost while still providing a look and feel that better players prefer and more forgiveness than a club in the better players category typically deliver. Most brands deliver this extra distance at least in part through strengthening lofts, and the AP3s are no different. An AP3 7-iron is a full three degrees stronger than the AP2 and as much as nine degrees stronger than a 7-iron from the 1960s. The AP3 PW is 43 degrees (approximately the same loft as many traditional 9-irons), so you may need to add a 47 or 48 degree “strong-gap” wedge in between the PW and your current gap wedge. Titleist didn’t stop with simply jacking the lofts, of course, they also added a number of technological goodies from the AP1 and AP2, as well as from its high end C16 irons. Titleist uses 84.9 grams of high density tungsten low and in the toe of the clubhead to optimize launch and add forgiveness. For comparison, AP2s only have 57.4 grams of tungsten in the clubhead. This moves the CG lower in the clubhead and raises the launch, partially offsetting the stronger lofts. Titleist pulls this off by making the clubhead hollow, a common feature in distance irons. Titleist calls it “Hollow-Blade Construction.” This manufacturing technique adds forgiveness by boosting MOI while providing Titleist engineers with more options to position discretionary mass (i.e. the aforementioned tungsten) to get the ball up in the air, even with those stronger lofts. Where the clubhead meets the ball, Titleist has used what it calls an “Unsupported L-Face Insert.” By being “unsupported,” this face is designed to translate greater speed to the ball while still generating ample shot-stopping spin. We’ll look at how well Titleist’s solution translates on the course in just a bit. AP3 irons are available for right or left hand in 3-PW, as well as a 48° “W” gap wedge. Stock shafts for the AP3 are the True Temper AMT Black in R300 or S300, but Titleist’s ample custom options are also available, many at no upcharge. 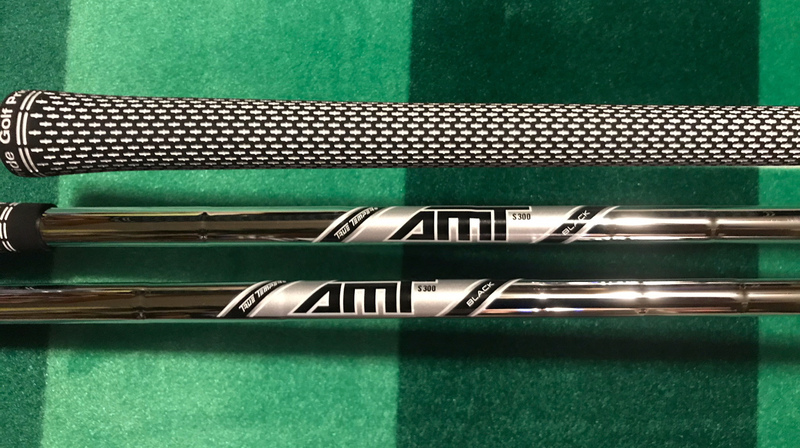 Off the shelf, AP3s come with Golf Pride Tour Velvet White grips. MSRP for the Titleist AP3 is $185 a club in steel and $210 for the graphite Mitsubishi Tensei shaft. 3      19°     60.0°    5.5mm     39.00"
4      22°     61.0°    4.9mm     38.50"
5      25°     62.0°    4.3mm     38.00"
6      28°     62.5°    3.8mm     37.50"
7      31°     63.0°    3.3mm     37.00"
8      35°     63.5°    2.7mm     36.50"
9      39°     64.0°    2.4mm     36.00"
P      43°     64.0°    2.2mm     35.75"
W      48°     64.0°    2.0mm     35.50"
My 4-PW set, determined by my Titleist Thursdays fitting, featured True Temper AMT Black shafts, ½” short, and one degree flat. For those interested in a mixed set, the AP3s will blend easily, in terms of loft and offset, with the more forgiving AP1s. AP3s and AP2s are nearly a full club difference in loft and offset, that will make combining the two a little more challenging (unless you’re willing to carry two clubs with the same number engraved in the sole). The AP3s arrived a little under a week after ordering. Right out of the box, these chrome beauties look spectacular. They are slightly thicker than the AP2s, overall, but they hide it very well. The AP3s are clearly designed to favor the AP2s in size. The clubhead is compact for a “distance” club, a shape that will appeal to better-than-average golfers who need both distance and forgiveness but don’t want to give up control. Even looking closely, the toplines of both models appear very similar. The AP3s are a bit wider in the sole, of course, but not nearly as much as you’d expect from a hollow-bodied clubhead. The club back carries Titleist badging that clearly differentiates it from the angular segments used on backs of the AP1 and AP2. A prominent Titleist logo is the central feature, with a smaller “AP3” on the toe. I like both looks, but the AP3 is the simpler of the two layouts. There’s definitely more offset on the AP3s than the AP2s. There’s actually about a millimeter more on the long irons and less as you get to the shorter irons. While I don’t like to see too much offset at address, somehow I don’t really notice it on the AP3s. 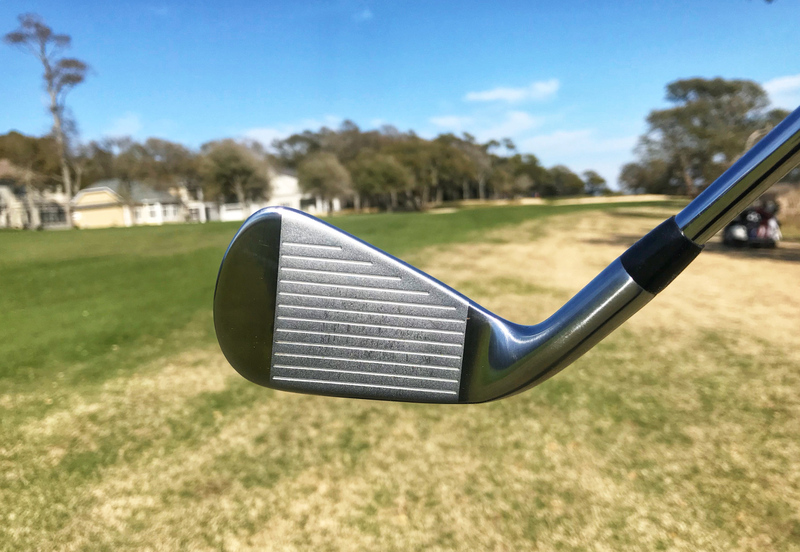 Blade purists will probably argue with this assessment, but even the 4.9 millimeters of offset on the 4-iron seems well suited to the club and relatively unobtrusive to me. When it comes to feel, I worried that the cast AP3s would be harsh or make it difficult to determine where contact occurs on the clubface. I have been pleasantly surprised. While you will not confuse the feel at contact with a forged blade—or with the AP2, for that matter—it is far better than you might expect for a cast club. While I find the cast AP1s to feel solid, but muted, at contact, the AP3 irons have a “clickier” sound to them than either of its next to kin. It’s not a bad sound but it comes as a bit of a surprise. Based solely on the way the clubs look, I was expecting a sound more like what the AP2s generate. Where the face contacts the ball is easy to discern, and shots off the sweetspot produce a pleasantly solid sensation and sound. Overall, I felt that the AP3 sound belies how well the clubs transfer energy to the golf ball. I’d prefer a deeper impact sound like that of the AP2s, but it did not take me long to get used to the AP3’s note. As the ball flies away on a high arc toward the target, it’s pretty easy to start liking that click. According to Titleist’s robot-testing, the AP3s deliver an increased 6.4 yards over theAP2s, largely owing to 1.5 mph more of ball speed. Surprisingly, even with a shorter length shaft than I usually play, I was still a half club longer with the AP3 mid and long irons. The higher lofted AP3s were more comparable with my current set for distance. 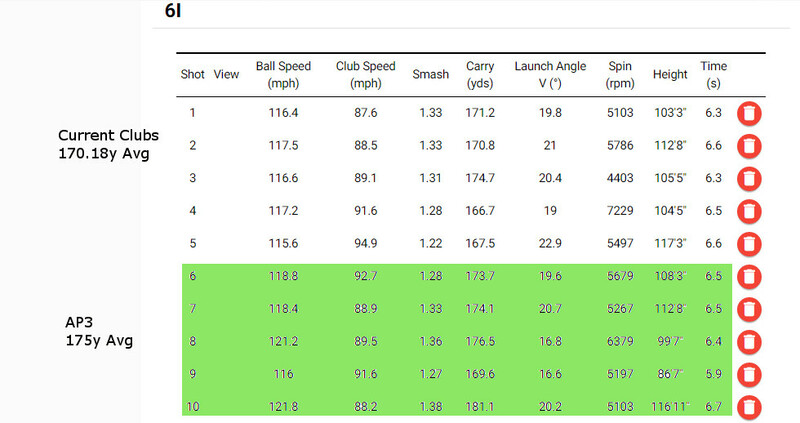 Those are pretty good results right there, but the AP3s also addresses my main bugaboo with distance irons. Many irons in this category are great at hitting the ball far, but can have inconsistently hot faces. They’ll occasionally just go off and launch the ball far longer than normal, without a predictable correlation to swing/contact quality. Distance is great, but when you’re expecting to hit a 145 yard 9-iron and the ball flies 160, that’s a problem. With other distance clubs in the past, I’ve found my ball over the back of greens far too often. While it feels cool to hit it that far, unless distance is consistent and predictable it will not help you score. In testing with my Flightscope Mevo launch monitor, variations in the AP3’s distance clearly aligned with clubhead speed or another measurable factor. The AP3 has a slightly wider range of distances than I might get with a (non-distance) better-player cavity back iron, but nothing like what I’ve experienced with other distance clubs and nothing that I couldn’t live with. But the AP3s are about more than just distance. As a better player’s club, we’d also expect the AP3s to be workable. With part of their genes coming from the AP1, you might understandably expect the AP3 to hit the ball straight and little else. While the AP3s do seem predisposed to the straight ball, with just a little manipulation you’ll find the influence of their other parent, the workable AP2. Overall, the AP3s are surprisingly willing to follow direction, bending the ball left or right on command. If you can move the ball left or right with your current clubs you should have no problem moving it with these. You may just have to make your directions a wee bit clearer. Trajectory can be manipulated, though like many recent Titleist products, the AP3’s are designed for an aerial assault on the course. Typical ballflight is high, but the irons will moderate their normal flight on demand. Two days of a recent Myrtle Beach trip included 30-40 mph wind guts. I was happy to find that the AP3s will hit knock-downs when needed. When punching out from under trees (it happens), I had to take less loft and keep my swing a little shorter than I would have with my previous set to mitigate the AP3’s natural tendency to launch the ball high. Marginally poor contact was readily forgiven by the AP3s, while center contact was rewarded through both feel and ball flight. Poorer contact still typically provided playable results. In forgiveness, the AP3s truly fit in right between the game improvement AP1 and the better player AP2. The AP3 inherits great turf interaction characteristics from its parents. Even in cart-path-only conditions in Myrtle Beach, digging was not a problem. There’s enough bounce and a friendly leading edge to keep the clubhead moving well through even marginally fat contact. 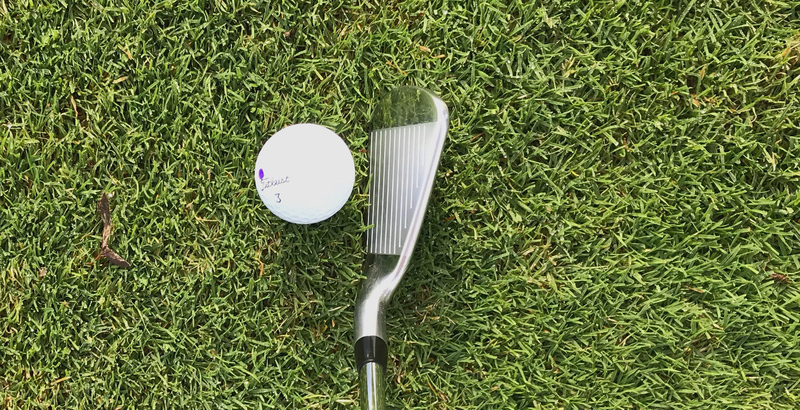 In particular, the long irons have a slightly wider sole that is going to help you find the ball on tight fairway lies without digging or bouncing into impact. My Titleist Thursday fitter suggested adding the gap wedge rather than the 4-iron, and that is probably a good suggestion for many players. Think of this set as being one club stronger through the entire set. In terms of distance, the 4-iron is a “3,” the pitching wedge is a “9.” In terms of forgiveness at launch, they play the other way around. The 4-iron is as easy to hit as many 5-irons. My first round with the AP3s resulted in one of my lowest scores of the year. Now, I was also hitting the ball better at that point than I had been for some time; but being able to take a set of clubs out of the box, put them in the bag, and go shoot a good score speaks to the irons’ consistency and predictable playing characteristics. I particularly found the consistent distances produced by good swings with the AP3s to be a major benefit in this category. They are very consistent in comparison to other irons in the category that I’ve used (especially compared with other irons that feature a hollow body of some kind). The Titleist AP3 is a great iron choice for players who need more distance out of their irons, but still want consistent distances and workability when they need it. They look like players’ irons with a size and shape that will be appreciated by all but the staunchest blade aficionados, but it’s their playability and forgiveness that better players are going to find most enjoyable on the course. 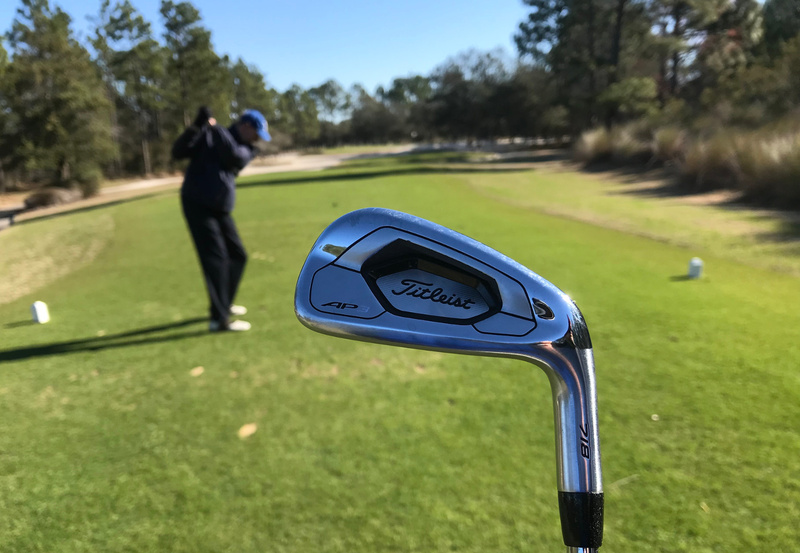 In the new AP3, Titleist has succeeded in combining many of the best characteristics of the AP2 and the AP1 into one iron. 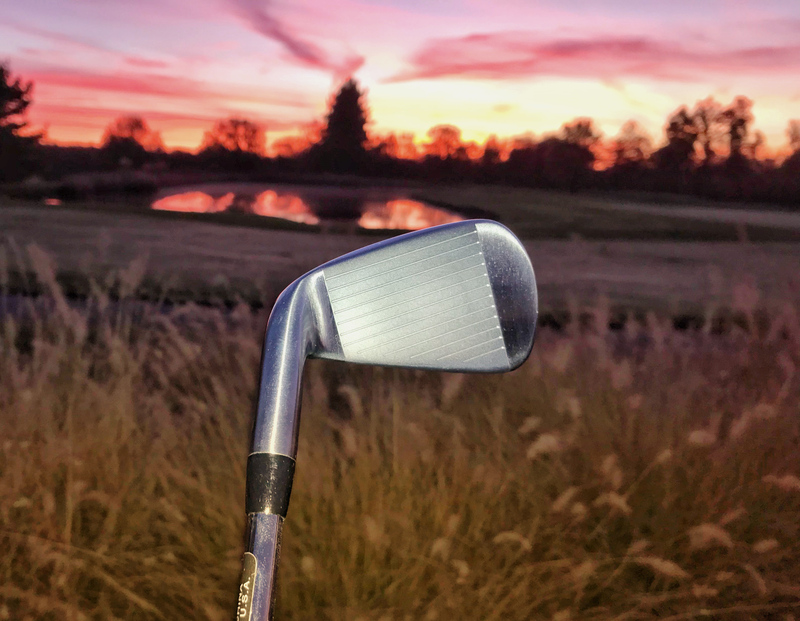 While some might miss the forged feel of the AP2 or the uber forgiveness of the AP1, the AP3 is going to make an awful lot of players very happy. I saw Rick Shiels review on all 6 models, and he said in the sample set he had, the irons went further than he expected, as you stated. That all being said, how much of an adjustment was it to get used to the distances you were hitting clubs. I adjusted pretty quickly. I knew they were going to play longer than the set I had been playing, so I just assumed one club less than normal and that worked out about right. I think after a couple rounds you should be feeling pretty comfortable with them. In general, I found the yardage gaps to be a little larger with these, but consistent. 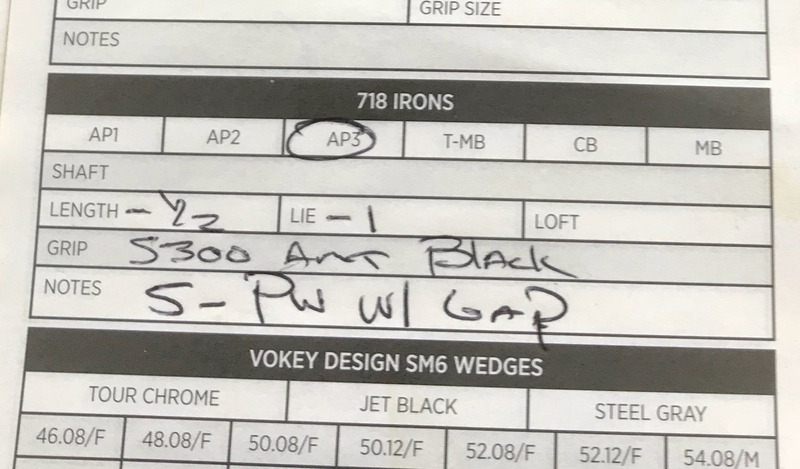 I am scheduled for a fitting for the AP3’s. I currently have the 714 AP2’s with KBS C-Taper Lites. I have demo’d the AP3’s and find the AMT Blacks a bit light in feel. What other shafts did you try? I am looking at the TT XP 115’s for a bit more weight and more of a mid-launch rather than the mid-high launch that the AMT Blacks provide. When I went for the fitting, I’d been playing AMT Whites in my irons. So we started there and since they were a good fit, we didn’t stray far. I actually ended up with the Blacks due to the 1/2″ off the shaft length. My fitter felt the Whites might be too low launching at that length. The Blacks reach about 115 grams in the short irons, but are lighter as the progress to the long irons. They are actually a mid-launch shaft. The low-launch Whites range from 106 to 13o grams in stiff flex. Most of the major brands have a heavier weight option that might fit your needs. Let us know what you wind up with and how you enjoy the fitting. George, It’s been awhile since I’ve hit the Apex, so don’t put too much stock in this assessment. Assuming that you’re playing the cast Apex cavity back and not the Apex MBs (the AP3s are quite different from the latter). I think you’ll find that the AP3s are a little softer feeling with little more muted sound than the Apex. They are both distance-oriented irons that will provide a reasonable degree of forgiveness. If there’s a Titleist Thursday event near you, that’s a great way to compare them head to head on a driving range… for free. Great review. If you don’t mind me asking, how tall are you? I’m 5 8″ with a 33.25 wrist to floor and considering going .5″ shorter on my AP3 order. I’m always choking up on my standard length SLDR’s, which are already .25″ shorter than the AP3 as it is. How are you finding the shorter length shafts working for you, and have you gotten used to the jacked lofts, especially in the short irons? Are you still liking the AP3? Thanks. Sorry for the delay in responding… I’m 5’7″ (on a good day). The shorter lengths definitely help with accuracy and, especially, more consistent contact. As for adjustment to the lofts, it’s been no problem. Once you solve the questions of how many wedges you are going to carry and where you’ll transition to hybrid/woods. For me, with the 1/2″ shorter shaft length, the number on the club is essentially “-0.5” from what I’d expect from more traditional lofts. In other words, I’ll hit the seven-iron about a half club longer than I’d hit a more traditionally lofted seven iron. The improved (or at least more consistent) contact is the big gain from the shorter length for me (in my fitting I was not making consistent center contact with full length irons). The shorter length might actually result in your average distance per club being not only more consistent, but longer than it might otherwise be (even with another similarly lofted, full-length distance iron). You can always try it out by “choking up” for a time (shortening clubs later is not particularly expensive… my shop does it for $3 a club). Check your contact with strike-indicator tape, foot spray or dry-erase marker. It depends on what you’re looking for. If you don’t play or practice much and just want a clubs that will get you around the course without punishing mishits too drastically, you’ll probably be happier with something more firmly rooted in the game improvement category, like the AP1s. But if you are looking for clubs that you can practice with and improve, these will give you more feedback than typical GI clubs while not being overly punishing.